VidOn DVD Ripper - Rip DVD to MP4, MKV, AVI, rip DVD for iOS, iPad, iPhone 6 and any other devices. Convert DVD-Video content from a disc, folder or image file to multiple formats, including H.265, MP4.4K, MKV.4K, MPEG-4, DivX, Xvid, H.264, AVI, FLV and WMV, all of which are suitable for iPod, iPhone 6 and iPhone 6 Plus, iPad, NDS, Apple TV and Android devices. 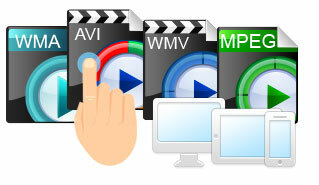 Convert DVDs into MP3, M4A, WMA, WAV, AAC, FLAC, AC3 formats and DTS audio files. 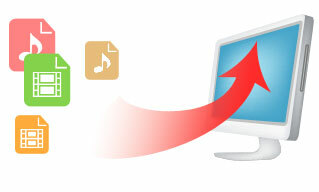 The converted files will play back on a wide variety of device, such as iPods, MP3 players, smart phones and tablets. 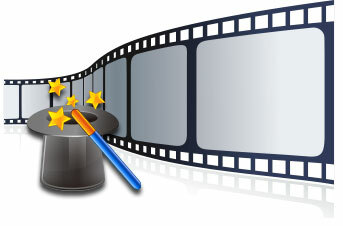 The built-in optimized profile library covers all mainstream video formats and popular devices, so that you can easily select and create your desired output files. We are constantly updating our software so the profiles library will never stop growing. Easily control of nearly all aspects of the conversion, including video and audio bit rate, resolution, frame rate, deinterlacing, aspect ratio, image cropping with a preview, and it provides a real-time preview so you can see all of your changes before they happen. NVIDIA CUDA and Intel Quick Sync technologies have drastically increased conversion without compromising video quality. And we have also added support for batch conversion and the ability to rip a title into different profiles simultaneously!